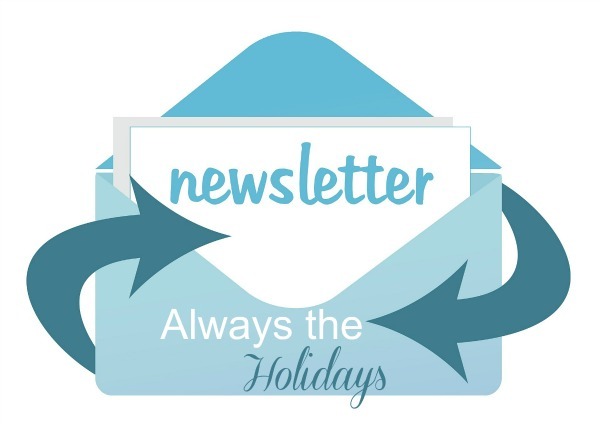 Get the best of Always The Holidays delivered straight to your email! When ever I write a new post I will give you a few paragraphs telling you what the post is about and send it directly to your email inbox. It arrives only when I have added something new to my site and as always, you can opt out if you find you do not wish to keep receiving it. You can change your mind at any time by clicking the unsubscribe link in the footer of any email you receive from us, or by contacting us . We will treat your information with respect. For more information about our privacy practices please visit this page. By clicking below, you agree that we may process your information in accordance with these terms. Always The Holidays will use the information you provide on this form to be in touch with you and to provide updates on website posts. The newsletter will allow you to catch up on the best of a huge variety of seasonal recipes, DIY projects, information about national days, and fun decor ideas. Looking for something to decorate for the holidays, or just to have some fun for the weekend? This email will give you some inspiration.